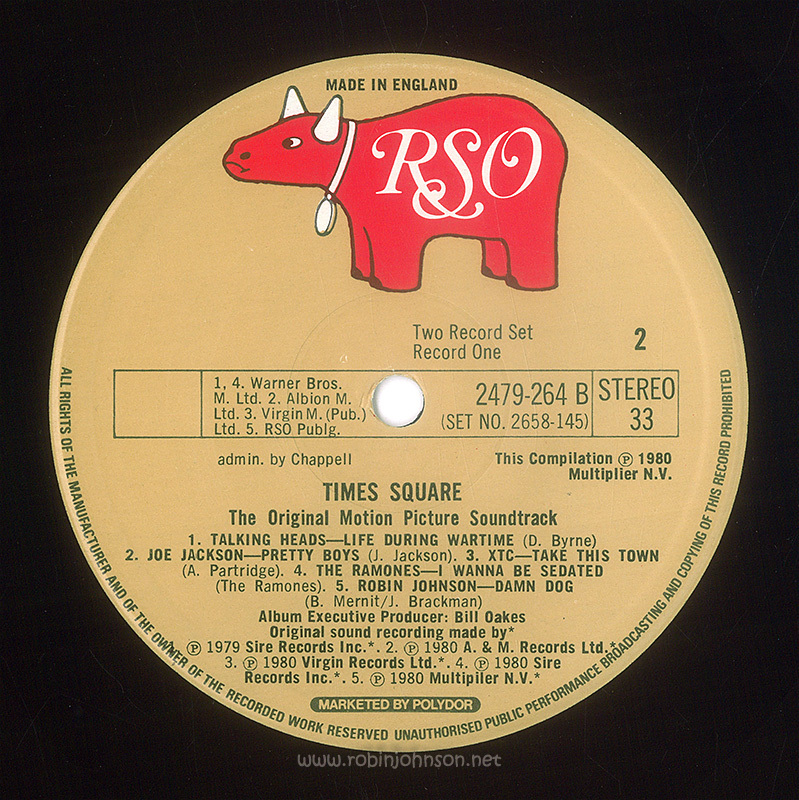 Posted on 10th November 2015 in "Times Square"
The biggest difference here is that Tim Curry is completely gone. There isn’t even a red circle where Nicky’s badge would be. We’ve seen that before on the promotional “slick”, which was displayed in record stores in the United States. Why each country had their own idea as to this aspect of the cover art is a mystery to me. The inner gatefold is nearly identical to the US and Canadian versions, although the yellow background seems to be getting lighter. I can’t promise that isn’t an artifact of my scanning, and I can’t be arsed to check, so if it’s important to you, let me know in the comments and I’ll dig them back out and do a proper side-by-side comparison. What’s different? Like I said above… Tim Curry is gone. The photo of Johnny that usually occupies the center square has been replaced with some Sleez Grrls from the audience of the final concert. 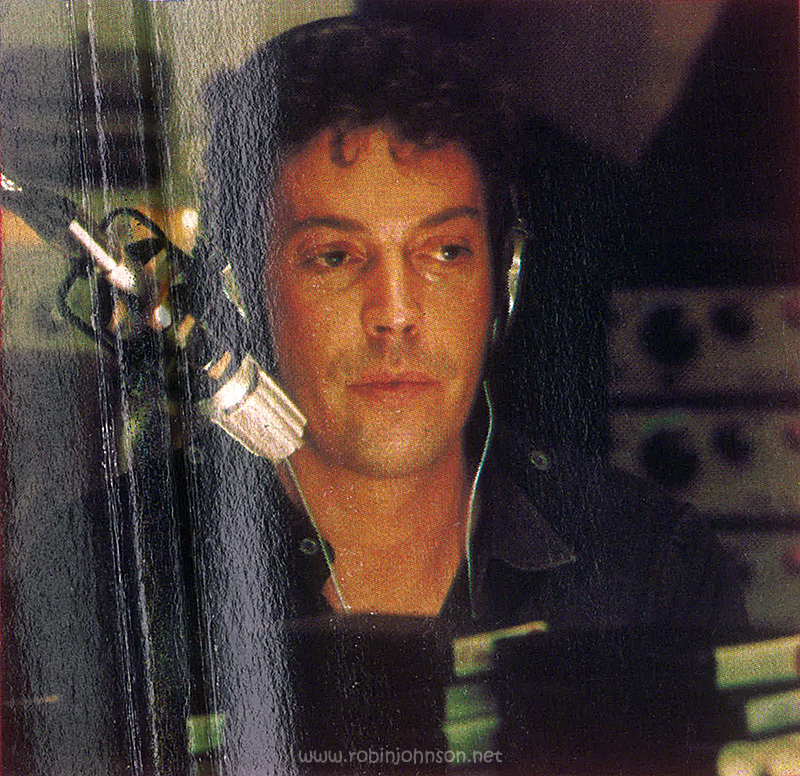 His name is still there in the cast list, but all photographic evidence of Tim Curry has been purged from the U.K. record sleeve. And the photo that’s there in his place is from a shot that didn’t make it into the film. 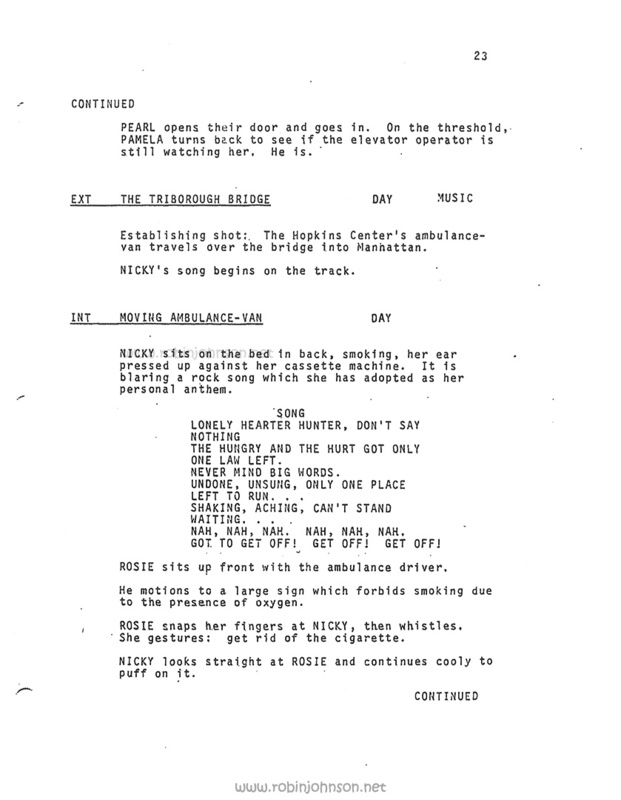 One of the girls is holding a sign reading “Na Na Na,” which is a reference to a song Nicky sang intermittently in the screenplay that was removed from the story after the concert sequence was shot. All the shots the sign appeared in were cut, but there’s still this photo to prove it existed. It’s always spelled “nah nah nah” in the screenplay, and was rather a major undercurrent running through the story. Nicky and Pammy used it to signal each other, Nicky spray painted it on things, and by the end the Sleez Grrls picked up on it (as we see in the picture in the album gatefold). 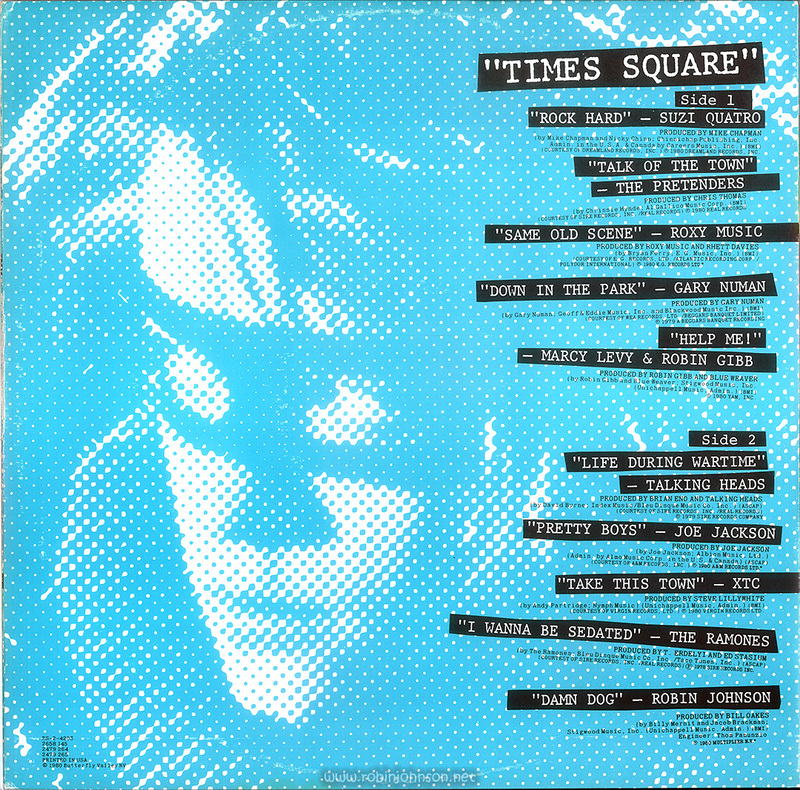 It was originally to be part of the soundtrack, but was replaced by XTC’s “Take This Town” (in the page shown here), the Ramones’ “I Wanna Be Sedated”, and Suzi Quatro’s “Rock Hard” (explaining why “Rock Hard” is called the girls’ “favorite song” by Johnny, despite it never having been heard before in the film; Johnny was supposed to be talking about “Nah Nah Nah” which would have been heard at least twice already). 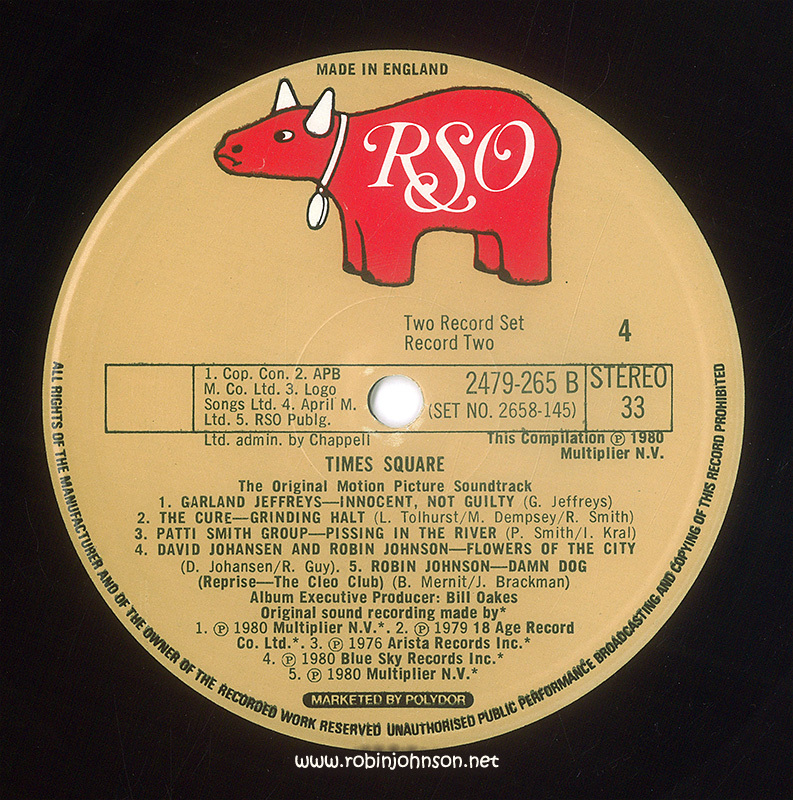 The wording of the small print on the back cover is different, and again all the mentions of recordings owned by RSO are attributed to Multiplier N.V. According to Wikipedia, N.V. stands for “Naamloze vennootschap” (“nameless partnership”) and is a public company whose shareholders are “not directly known.” Why Butterfly Alley and RSO’s international interests were incorporated as N.V.’s… well, are there any corporate tax lawyers out there? The font on the spine is changed from the typewriter-style one to a sans-serif that may be more legible but doesn’t fit as well with the rest of the artistic direction. 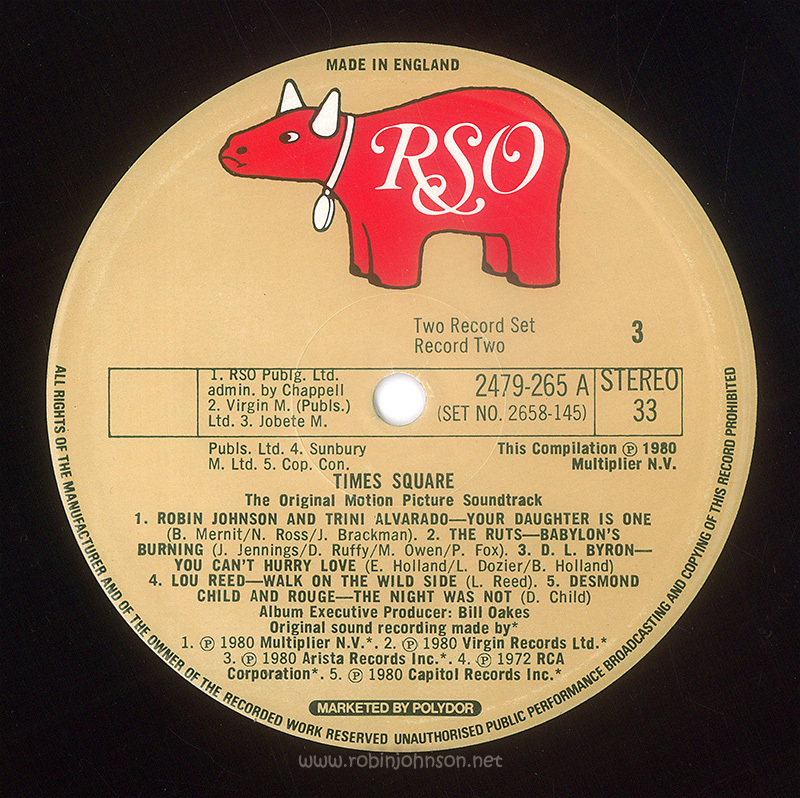 The inner sleeves again have the RSO sound recording copyright notices replaced with attributions to Multiplier, although this time they’re in an approximation of the original typeface. 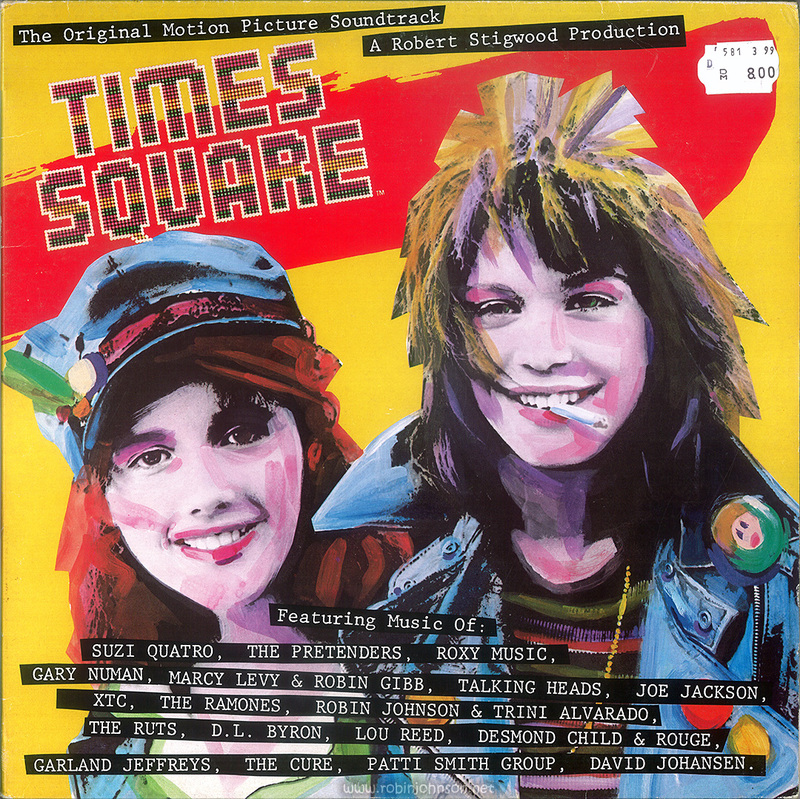 There are also a few other changes, such as the recording of Joe Jackson’s “Pretty Boys,” owned by RSO in the US, being owned by his label A&M in the UK, and The Cure’s “Grinding Halt” changing from Fiction Records to 16 Age Record Co. Otherwise, the sleeves are identical to the US versions, down to the notice “Printed in USA.” They are a much lighter color though (and this color difference is accurate), and there’s one other difference that also appears on the back cover and on the Side 4 record label. I’ll award a brass figlagee with bronze oak-leaf palm to the first person to identify it in the comments. 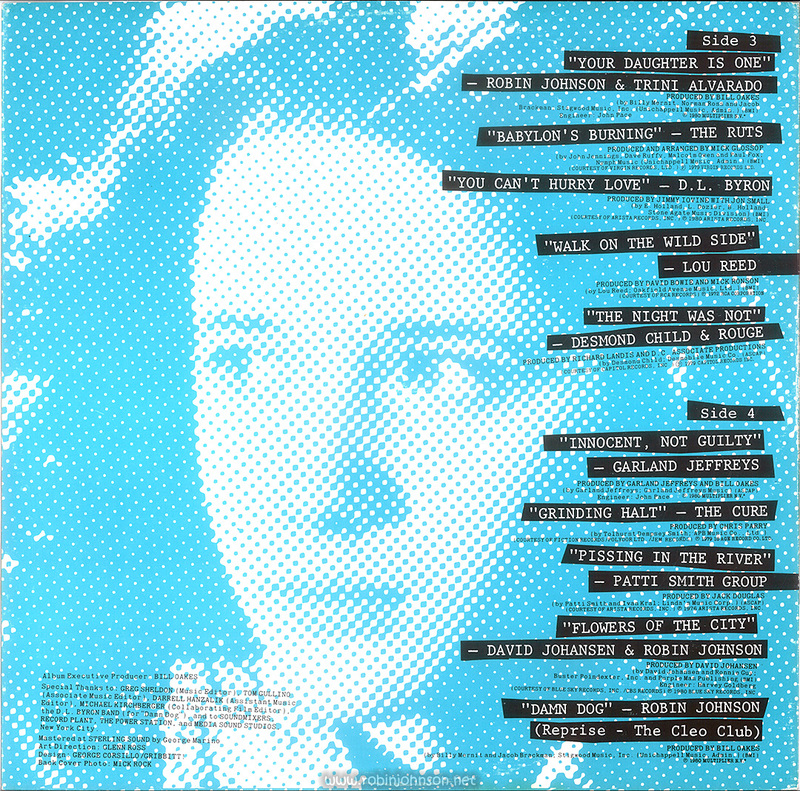 The labels rearrange the information into an unreadable mishmash, but add the names of the songwriting publishing companies. You may be able to see why I stopped collecting copies of the records. I’m interested in Robin, not the minutiae of international music publishing. Well, I am interested in that, but enough to blog about it. Yet, here I am. 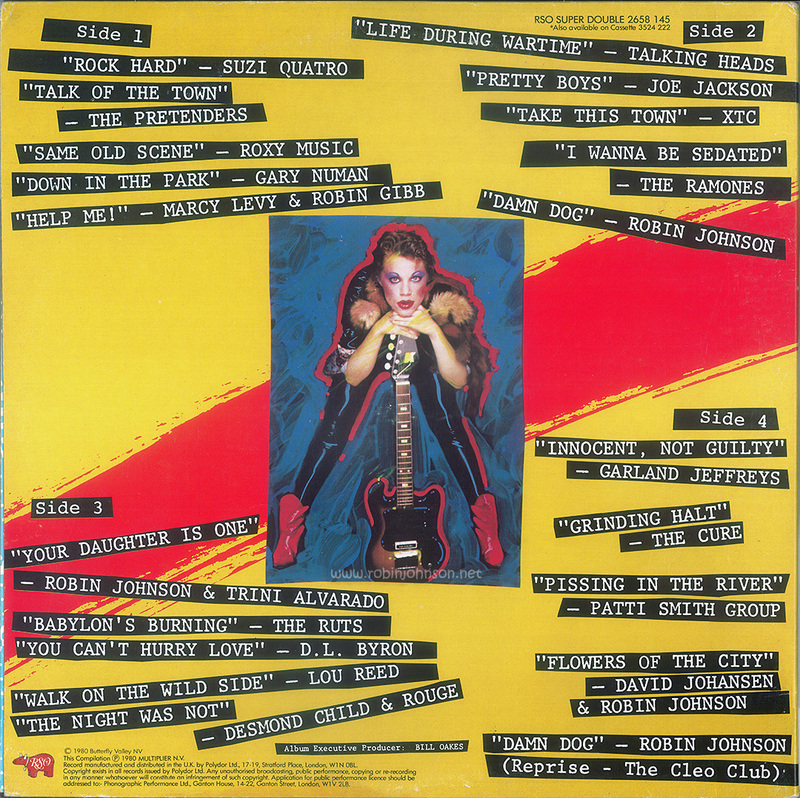 Updated 5 December 2015 to include the Sleez Girls photo from the inside gatefold. comments: 0 »	tags: 1980, RSO, soundtrack, U.K.